Print telephone directories are dying as a means for consumers to search and contact local businesses. Today, most people search Google to find local services. Statistics show that people not searching on Google are turning to other online search tools such as Yahoo! Search, Bing or local directory applications like Yelp, Yellowpages.com, Angie's List and any number of other tools conveniently available on their mobile phones. The sheer number of online local business directories is expanding almost daily, making it tough for you to know which searchable directory is the best place to list your business. That's where our Internet marketing and search engine optimization specialists come in handy. We've already done in-depth Internet research so you don't have to! Local online directories – Yelp, Angie's List, Local.com, etc. The local site submission process is easy, because you only have to enter your business data once. After that, we submit your listings to hundreds of sites by hand. Our detail-oriented manual submission service benefits you in so many ways: fast completion, robust listings and solid proof that the work has been done. No other Internet marketing/SEO company has the ability to create powerhouse listings like these. 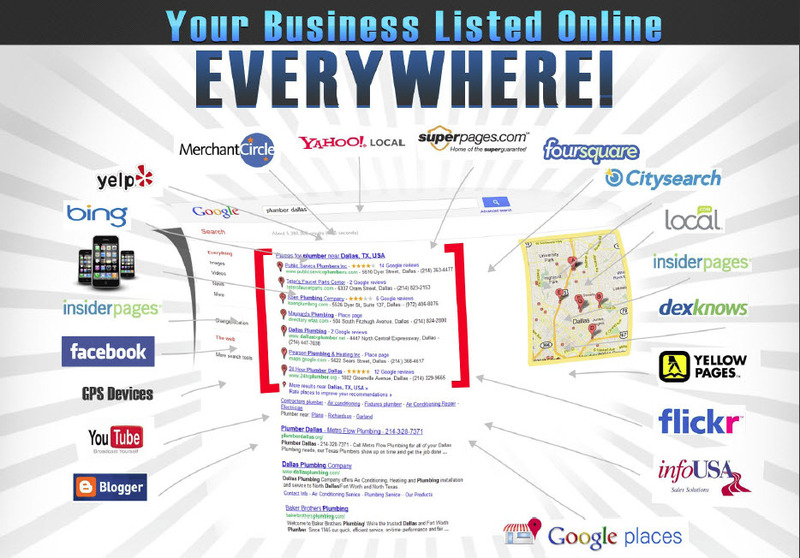 Our service enables you to dominate Google and the local business directories. No one but Local Site Submit cares enough to hand submit your business information to each and every directory — no shortcuts, no data feeds, no software submissions. It takes only a few steps to build a lasting foundation for your business' online success. Step 2: Choose the site submission package you prefer. Step 3: Make a payment online. Step 4: Receive your completion report in 10 business days.